Our relationship with you begins with an initial site visit and consultation. 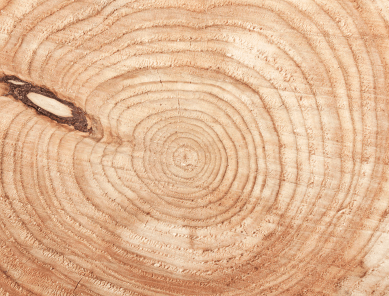 We work with you using our experience and qualifications as licensed Arborists to determine your tree care needs. We inspect your trees for any visible signs of disease or insect damage and hazards and develop a tree care plan that will help make your landscape dreams a reality. 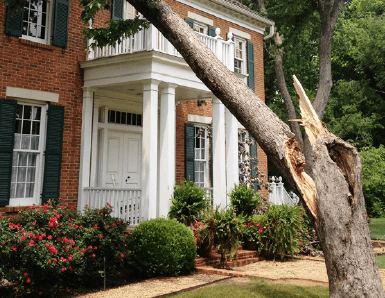 Well maintained trees can add to your properties value and can reduce liability issues. Proper pruning helps you obtain your landscape objectives while increasing the health and strength of your trees. TNT Tree will work with you to establish your goals and then provide solutions that deliver lasting value for both you and your trees. Storm damage, Root failure and Trunk or Limb failure present some of the greatest challenges we face as Arborists. Call on TNT Tree to help you resolve these issues quickly and safely. You can trust TNT Tree to provide expert solutions while reducing the risk of further damage to your property. TNT Tree understands that there are many situations that can require a tree to be removed. Tree removal can be dangerous and is often an arduous task. TNT Tree has the experience and equipment to perform tree removals in a safe and efficient manner. You will be glad you left the heavy lifting to us! Healthy trees are happy trees! Sometimes a lack of nutrients and/or minerals can keep your trees from achieving their full potential. TNT Tree can determine if a fertilization program is right for your trees. Preventive maintenance helps keep trees in good health while reducing any insect, disease, or site problems. Although we do our best to leave no trace of our activities in your yard, removing a tree will leave you with a stump. TNT Tree offers our stump grinding service to remove the last traces of your tree. We will leave you with a site that is ready for top soil and reseeding or sod, and remove the excess wood chips from your property. It has been said that the best time to plant a tree was 20 years ago, the second best time is now. A young tree can grow a lifetime of memories. Let us take care of finding the best solution for your landscape, so you can start growing those memories. Emerald Ash Borer (EAB) is an invasive pest that was introduced to North America from Asia. The feeding activity of the larval stages of the EAB destroys the conducting tissues of the tree leading to rapid decline and death of infested trees. The insect has devastated populations of Ash trees as it has spread across the continent. Ash trees make up roughly a third of the urban forest in Winnipeg and are greatly threatened by the arrival of this insect invader. We use the most effective and environmentally friendly products to protect your Ash trees. Call or email for more information. TNT Tree can also work with tree owners and property managers to develop management plans encompassing, treatment, removal and/or replacement of your Ash trees. The goal of all our plans is to allow cost effective management of the infestation while minimizing the risk potential posed by trees killed by the Emerald Ash Borer. We are always looking at ways to improve our service, safety and efficiency at TNT Tree. We recently invested in a compact tracked lift as part of our commitment to meet this goal. Our tracked lift, also known as a spider lift, increases our options for working on your trees. The tracked lift allows us to reach the tips of branches that might be difficult to access via traditional climbing saving wear and tear on our climbers, it also provides a safer working environment for our employees. The lift is remarkably light weight and maneuverable allowing us to access areas that a traditional bucket truck cannot reach. This is particularly helpful when we are called upon to work on dead, damaged or hazardous trees that may be unsafe to climb. TNT Tree Service started serving Manitobans in the late Nineties as a cankerworm control service utilizing tree banding in the fall and tree spraying in the spring. After working for several seasons for the original owners, Chris purchased the company in 2004. He had just finished a Bachelor of Science degree at the University of Winnipeg majoring in Biology. Chris’ treeplanting adventures throughout Manitoba and Alberta in the summer months led to a deep appreciation and love for the outdoors, and trees in particular. TNT Tree seemed like a perfect way to combine his education and enjoyment of the natural world into a rewarding career. 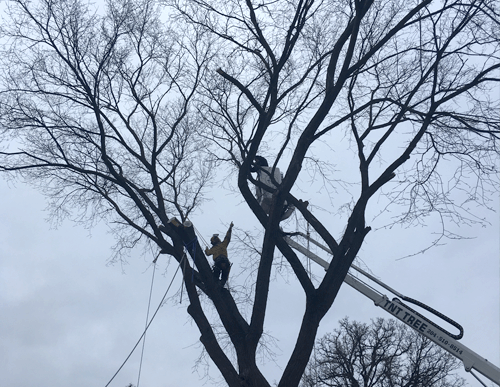 After purchasing TNT Tree service the business expanded into general arborist services, and over the years this has become the main focus of our work. We are blessed to live in a city with such a spectacular urban forest including one of the largest elm tree populations left in North America. Chris feels privileged to have this forest as his office. Our team shares a love of trees and a commitment to providing the highest quality work in the safest manner possible. TNT Tree is committed to continuous learning. Our tree workers have passed the provincially mandated arborist exam and are currently licensed and insured. TNT Tree is a member of the International Society of Arboriculture and the Tree Care Industry Association. We are committed to the Code of Ethics of both organizations. 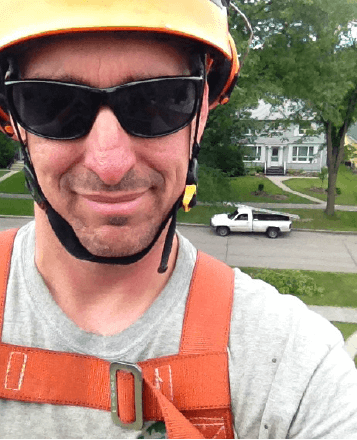 Chris is proud to be an ISA Certified Arborist. Our team is passionate about what we do and we approach each project in a personal and hands-on manner. Our work is rooted in our dedication to customer satisfaction and tree health. In fact, we have a 100% customer satisfaction guarantee and take pride in our fair value. We want you to get back to enjoying your space, and work hard to ensure all sites are left in better condition than when we arrived. Our tree workers are licensed and fully insured. TNT Tree is registered with the Workers Compensation Board of Manitoba. Always ensure that your tree work contractor can provide this documentation to avoid potentially costly problems in the event of a mishap. We service Winnipeg and the surrounding areas. For a free no obligation estimate call today or use form on the right. Celebrating 15 years of making it happen.